Gabriel F Zambrano is rated AV by his professional peers through the Martindale-Hubbell © Peer Review Rating system. 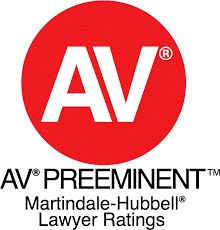 According to Martindale-Hubbell, the “AV” rating of “Very High to Preeminent” legal ability is a testament from peer legal professionals of the highest level of professional excellence and of unquestionable ethics. The Martindale-Hubbell Peer Review Ratings have been an integral part of Martindale-Hubbell’s services to the legal community since 1887. The Peer Review Rating process, which evaluates lawyers in the United States and Canada, is solely based upon peer review. A Martindale-Hubbell Peer Review Rating attests to a lawyer’s legal ability and professional ethics, and reflects the confidential opinions of the Bar and the Judiciary. 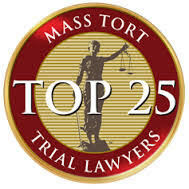 He has also been selected as at Top Rated Lawyer by ALM & Martindale-Hubbell in 2014, 2015, 2016, and 2017 in the areas of Personal Injury & Mass Torts. Gabriel F Zambrano is a long time resident of South Florida who has practiced law throughout the State of Florida since 1994. He began his career handling commercial litigation and insurance defense cases which allowed him to develop skills in handling cases throughout the entire process from an early claim through trial. His trial experience includes handling complex and catastrophic injury cases, as well as multiple trials that approached or exceeded thirty days at trial. In 2011, he was invited to serve as co-counsel in an Engle Tobacco trial that resulted in one of the largest reported verdicts in 2011. Today, he advocates on behalf of victims of personal injuries, assists individuals seeking justice, develops mass tort projects where patients suffer injuries from drugs or pharmaceutical devices, as well as handling ongoing cases in already existing mass tort proceedings. Mr. Zambrano gained national prominence, in 2009, as an early advocate on behalf of girls and women that suffered life altering blood clots, strokes or heart damage from use of the Blockbuster drug Drospirenone (DRSP) containing birth control pills trademarked and manufactured by Bayer Healthcare Pharmaceuticals: Yasmin, YAZ, Beyaz & Safyral. He is considered, and has remained, a Key Opinion Leader on the litigation and served as Lead Counsel or Co-Counsel for several women among the first 100 YAZ lawsuits filed in the ongoing Multi-District Litigation (MDL) and coordinated State Mass Tort Proceedings. The YAZ litigation is actively ongoing with published reports of nearly 12,000 lawsuits pending as of April 2012. Bloomberg/Reuters has estimated in published reports that the girls and women, who have been injured from use of a DROSPIRENONE (DRSP) containing birth control pill, will collectively be awarded nearly $2.65 billion U.S. dollars. In October 2010, he warned of the risks facing another Generation of Girls & Women from BAYER’S MIRENA IUD in an October 2010 presentation at a national mass tort conference. As such, he has been involved at the forefront of recent contraceptive litigation as described above, as well as in the emergence of cases against Bayer Healthcare Pharmaceuticals over their hormone releasing MIRENA IUD. In 2011, Mr. Zambrano began investigating cases involving PRADAXA (Dabigatran Etexilate), an FDA approved blood thinner that had been linked by FDA data to over 542 U.S. deaths in 2011 and has drew scrutiny from public health authorities in Europe, Japan, New Zealand and Australia. PRADAXA bleeding cases literally involved patients bleeding to death because there is no antidote or quick reversal agent for the blood thinning effects of Dabigatran. These cases became national litigation with a $650 Million Dollar settlement fund announced in late May 2014 for approximately 4,000 suits brought by lawyers across the United States. He has had the privilege of being Lead Counsel or Co-Counsel to several families that lost a family member to this novel drug that remains under continued scrutiny. In 2012, he expanded his investigation of Metal on Metal (MoM) hip joints into failed modular hips. The initial investigation was in part prompted by the 2010 recall of the DePuy ASR worldwide. Subsequently, this was followed by a U.S. based 2012 recall of Styrker Rejuvenate and ABG II models which became the subject of nationally consolidated litigation in New Jersey and later an MDL. Throughout 2013 and 2014, he continued spearheading his own investigation into side effects associated with XARELTO (RIVAROXBAN). This is a novel anticoagulant that has become a Blockbuster drug, however it has no known or readily available antidote. The rise of this drug as the heir apparent to PRADAXA’s market share raises questions about safety and efficacy he discussed on LinkedIn “Xarelto Fatalities, Deaths, Side Effects and Growing Market Share as Lawsuits Mount“. This litigation is presently ongoing in the United States with the filing of cases continuing in an MDL.During October 2014, he and another lawyer obtained an $806,289.00 jury verdict in a one day Trial. This was a no offer case with the victim having approximately $96,000.00 dollars in medical expenses following a brutal assault at a bar. In 2014, he resolved a complex elevator accident case he had prosecuted since 2006 on behalf of an injured worker for $1 Million Dollars. The case was delayed due the financial insolvency of an insurer. The result was featured in AAJ’s TRIAL Magazine, January 2015, Verdicts & Settlements as a notable result in Workplace Safety. The worker had been injured and incapacitated while his employer conducted a self-serving post-accident investigation where they blamed him for his partial hand amputation while ignoring other evidence that was only discovered through years of advocacy. In 2015, he was invited into the early investigation of “forced air warming” or heating blankets marketed and sold under the trademarked name Bair Hugger. These devices have been in use for several decades in operating theaters around the world. Related litigation has drawn attention to the possibility, and allegations, that they are linked to an increased risk of infection during joint replacement surgery resulting in complications which include infections, revision surgeries and some rare amputations. 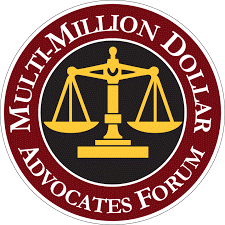 These cases have been centralized into an MDL where Bellwether cases will be selected and prepared for Trial. 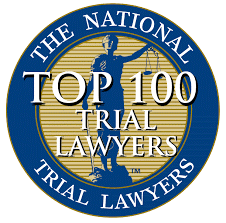 Mr. Zambrano is currently a member of the following organizations: The American Association for Justice, Florida Justice Association, Mass Torts Trial Lawyers Association, The Southern Trial Lawyers Association, and The Association of Plaintiff Interstate Trucking Lawyers of America (APITLA). He has been a Member in good standing of The Florida Bar for over twenty (20) years and is admitted to practice before the Supreme Court of the United States, the United States Court of Federal Claims, the United States Court of Appeals, Eleventh Circuit, U.S. District Court, Northern District of Florida, U.S. District Court, Middle District of Florida and U.S. District Court, Southern District of Florida. Gabe Zambrano is a regular commentator and Blogger, on LinkedIn, on subjects relating to evolving Mass Tort litigation, consumer safety, investigations of pharmaceutical and medical devices, commercial motor vehicles or trucking, as well as other pending litigation. Contact him at gabe@gabrielfzambrano.com or gabe@bocaratonlaw.com by submitting a request at www.GabrielFZambrano.com with any questions or regarding potential investigations.